Today we are talking Combination play! This is our favorite level because every kid plays here. If you have a group of kiddos at different levels, these toys will be the best to keep them all occupied together. If you have an early player, this is what we are teaching towards. If you have a more advanced player, these toys are a good foundation to ensure sustained engagement. So no matter who you are shopping for this holiday season, this list today is for you! Combination play varies in complexity. We start with general combinations and fitted puzzle-like combinations and move towards construction combinations. As always, we are looking for toys that help us bridge to a more complex level of play. Here are our recommendations for each level of combo-play! General combinations include any non-specific combination. The toy doesn't tell you how to combine and there is no specific piece or component that is required. We often start teaching this level of play with a large bucket or laundry basket and lots of balls and soft blocks. This level of play is also a great time to introduce sensory buckets like a bin of dried beans or rice (Or water if your child is likely to eat these). Sand toys. 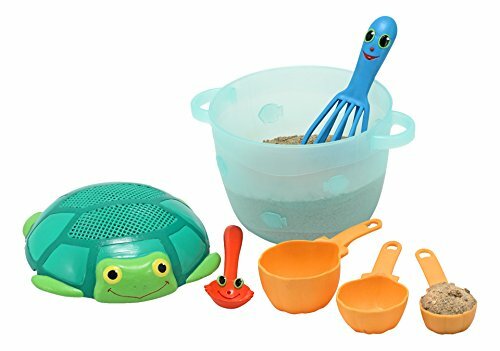 A great set of sand toys with buckets, cause-and-effect wheels, scoops and rakes are a great way to dig into general combination play. This set is a good size, and transitions wells to pretend play when kids are pretending to cook and bake. The coordinating seaside sand funnel also takes all size grains! We also love this awesome sifting funnel because it can take big or little grains so it will work with rice or sand or water. And it is sturdy and lasts for a while. All of the sand fills up the cute little dump truck which is a general combination but also can be part of a pretend play story line taking loads to and from a construction site. This toy is a great bridge from early exploration to more thematic play and everywhere in between! 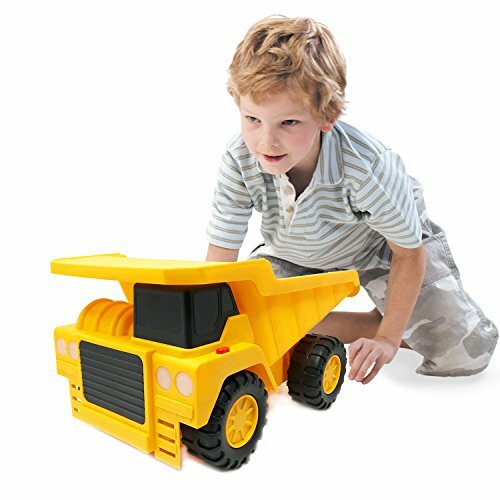 Dump Trucks are a MUST if your child is a general combo player. You can fill the back with all sorts of toys and dump them back out. I love to fill these with a good set of puff balls or duplos. This again bridges nicely to higher levels of play, so this toy should last through many phases of play development. A giant truck like this can even be a transportation vehicle for dolls or stuffed animals. 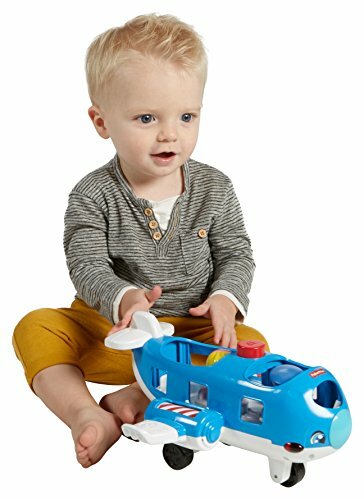 Do yourself and your child's play development a favor and leave the batteries out for a good while when you first introduce this toy. This will ensure your child learns how to play with it rather than just press the buttons and explore. Fitted combinations are puzzles or toys that act like puzzles. The toy tells you where to put the pieces. Anything from a regular puzzle or shape sorter to a piggy bank toy (see our last post). These toys build cognitive and motor skills as well! However, from a play stand point some of these toys can be limiting. We have selected some of our favorites that will best bridge players from these fitted combinations to more complex play. Chunky puzzles. Are great because the pieces can be used most easily across play levels. 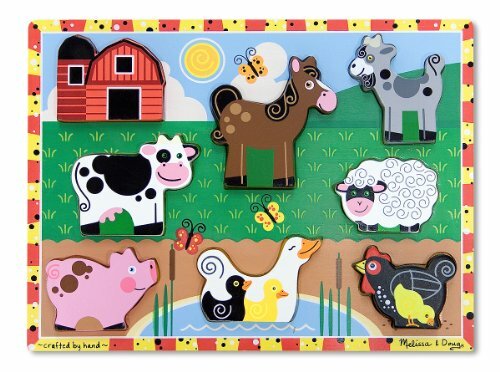 The animals from this set can be used with a good set of nesting garages (see previous post) to give each of them their own barn, or the animals also fit well with a more traditional farm set to give you more animals to play with. Even if you use this as intended, this puzzle has a good number of pieces so you can both take turns, and there is lots of new vocabulary to layer on top of your play. Hungry Hippo. If you've worked with us, you've seen this guy around. He can eat just about any semi-flat food toy and his see through belly gives a nice visual effect. I have never run him with his batteries, but I'm certain that he is plenty of fun without them! He is durable, easy to feed, and he fits nicely in this category. 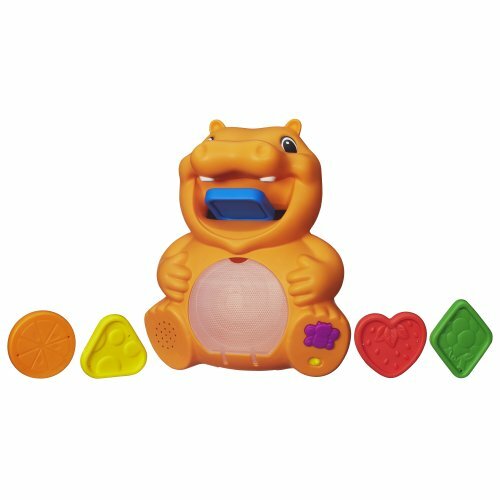 The mouth is the only place to put the pieces, so the toy tells you how to play. However, because he is a cute hippo you can expand the play to more symbolic levels by using a spoon to put food in his mouth, adding eating sounds, and putting him to sleep under a blanket at the end of a meal. Early learners have many opportunities to request to open the belly or make choices between what we feed him as well, bridging nicely across development. Plus, he is just so cute! Stacking blocks. These are great. As a shape sorter, it fills the role of a fitted combination nicely. The blocks all stack together or nest nicely like a puzzle. 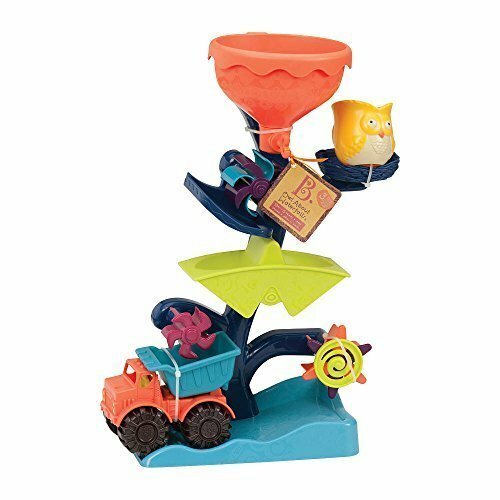 The bottom block can be used as a classic shape sorter, or build the tower to make it more tricky! The slot at the bottom is a fun way to find your blocks too. I love that this toy can be used for a general combo by just dropping the blocks, or little people, or balls down from the top. Notice that each of the blocks has a face, so we can get creative and feed the characters as well as play develops. Specific combination toys are similar to the fitted combos in that the toy tells you where to put your pieces, but this requires some outside knowledge. A car goes on a ramp, a spoon goes in a bowl, a hat goes on the dolls head etc. These all tell you where the piece goes based on some experience or knowledge that you have about the relationship between these items. These associations are our first step towards pretend play. We want to make sure we provide every opportunity for growing towards pretending while also giving lots of opportunities for kids to hang right here at this level for a while. Car ramp. Any good car ramp will do, but I love this because it comes with cars and boulders to change things up! A lot of different items can slide down this sturdy ramp. I recommend adding the old Little People cars that have open seats to add another layer of combination and potential for growth to this or any car ramp set (see last week's Ebay shopping post). Little people vehicles. Fischer-Price released some new vehicles this year that are pretty cute. Load the people into their seats is almost as simple as doing a puzzle, but the play can become more complex quite quickly. Take your people on a trip around the world or into space! For kids who aren't ready to leap ahead you can put the people on the airplane and then move them to the bus. Even without a story line this can give kiddos quite a few steps to stay engaged in right at this specific combo level. This is another good find for a steal in a 2-pack at your favorite wholesale store! Melissa and Doug Food Sets. 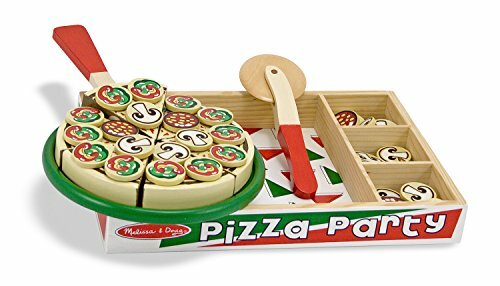 Who doesn't love a good M&D pizza or cake set? Another toy you have seen a lot of if you have worked with us. We love the toppings from the cake and pizza because so many puppets and characters can eat them, bridging nicely to some pre-symbolic play. The toy can function similarly to a puzzle, but easily bridges to more symbolic play. Have a few good puppets on hand to keep the fun going! The cookies lend themselves nicely to richer routines around creating and baking the cookies, and the ice cream set is a lot of fun with a magnetic scooper. Construction toys are those that you can combine in any which way. Think block sets galore! Construction toys are the biggest hit when you have many many pieces. When we think of facilitating play we want to make sure we have plenty of pieces so we can also join in the play and take turns as well as give the child choices between types of materials. This is where shopping for used sets can be useful. The sets below are a great starter. Magnetic tiles. I take these to every play session. These are a must for all players. Not only are they fun and easy to assemble, these can be used in so many ways. From simple stacking, to building simple cube towers and then building structures to use as a backdrop for your thematic play, the options are endless. 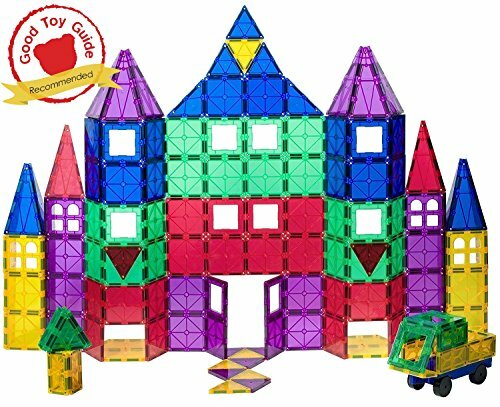 Some of our favorites include using these to build a road, building a cube tower and hiding animals in each layer, or building a row of garages. These are so fun to crash, so make sure to add some toy tools to your set! This set in particular is great because it comes with open windows, fence pieces, and train cars to diversify play even more! 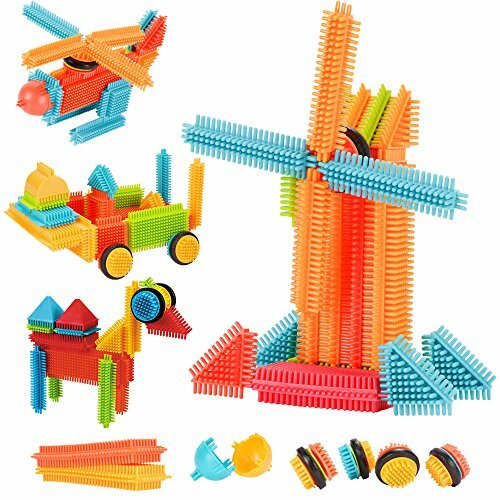 Bristle Blocks. These are great for explorers because they have a fun texture, and are easy to stick together. They are also great for building accessories in play. We enjoy making animals, cars, and airplanes. Make sure to make a little seat for all of your little people! Gears. A good set of gears can provide a lot of entertainment. Look for a set that has some bells and whistles, and beware when mixing and matching because not all sets are compatible. 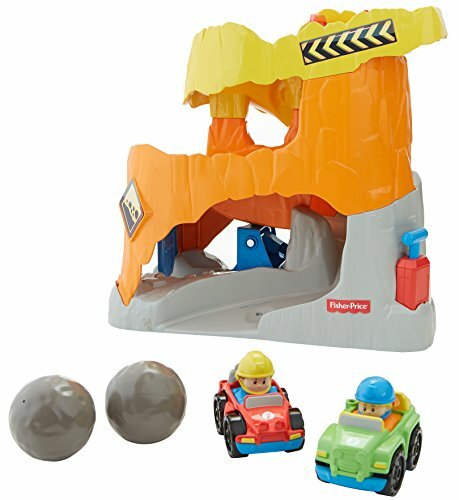 Earlier players can enjoy an already constructed set as a cause-and-effect toy. You can bridge to combination play by having them add a few simple components to an existing and working set up. Then you can increase complexity over time by introducing new pieces and having them assemble more of the set. 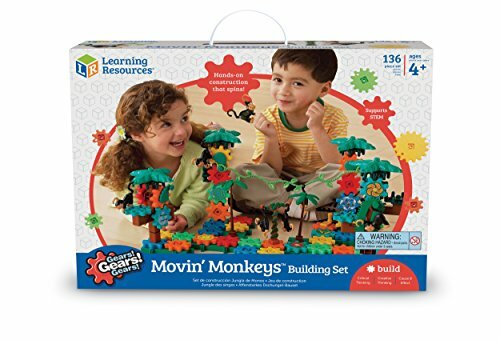 This set is a favorite because it incorporates monkeys into the fun which helps bridge kids to symbolic play. Once the gear structure is built you can use it as a scene for your monkeys and even fly in some little people for a visit! Gears are also a great educational toy too that help teach problem solving and system building. This is a great toy all around and will last through many stages! At KidPRO, we hate uni-taskers, and we have made an effort in our toy lists to provide recommendations that will support play development over many stages. However, any toy or activity will loose it's luster with over exposure. A good toy-rotation is key to maintaining interest and learning opportunities over time. This doesn't have to be fancy! Get a few good plastic bins, and throw in some toys to store out of sight. Although many kids can benefit from a weekly rotation, an occasional rotation can have a huge benefit! Come back tomorrow for our Symbolic play toy suggestions!